Alexander Wang put on a marvellous Balenciaga show yesterday in Paris. Wang produced some N.Y. classic styles in a very delicate and light way. His creations were amazing I loved the soft colours. Wang ask incorporated mirrored glass and long drape like coats. They sound weird but look and flow wonderfully with the rest of his collection. 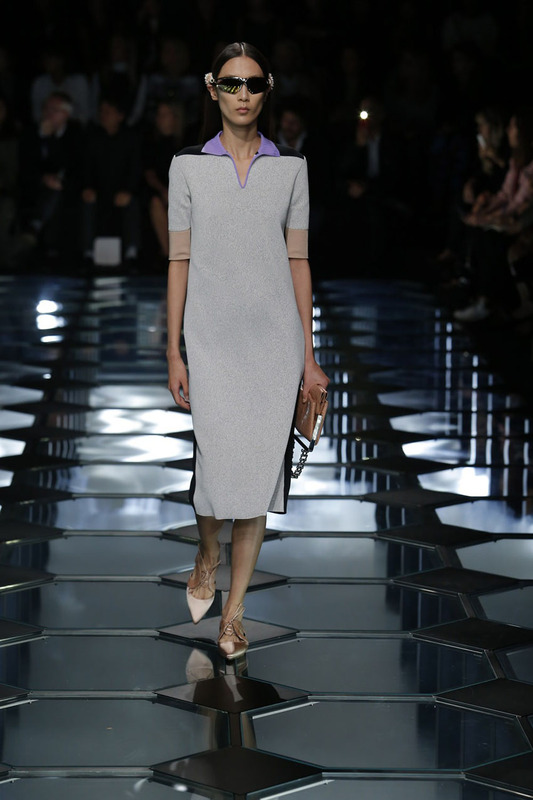 Balenciaga show as part of the Paris Fashion Week Womenswear Spring/Summer 2015 on September 24, 2014 in Paris, France.